Roasting rib eye and getting meat that’s tender and tasty is no easy task. 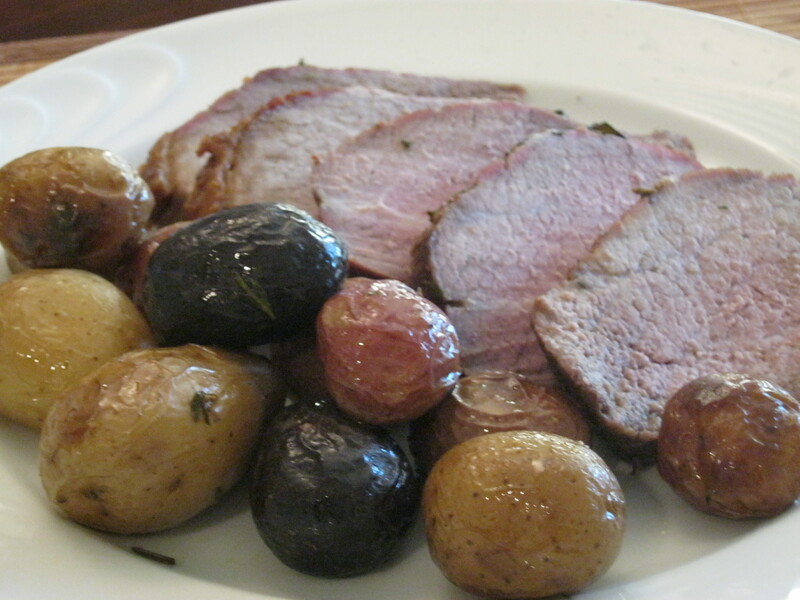 But I’m happy with the instructions I followed for making this roast and I want to share them. Credits go to Lyn B at allrecipes and useful comments therein. Here’s the basic idea, you pre-heat the oven like crazy, cook the meat for a few minutes per pound depending on desired doneness, then turn off the oven and let it cook for the next two hours. At no point are you allowed to open the oven door. How to make: Let the meat reach room temperature. Season well with salt, pepper, thyme, garlic or other spices that you like on your beef. Pre-heat the oven at 500F/260C. Place the meat on the pan, fat side up. Place the pan in the oven. Reduce the temperature to 475F/250C and cook for about 21 minutes, or 7 minutes per pound. Because we like the meat medium-well, I cooked 9 minutes per pound. Then turn off the heat and let the meat stand in the oven for two and a half hours. Be sure not to open the oven door to take a peek! Slice and serve.